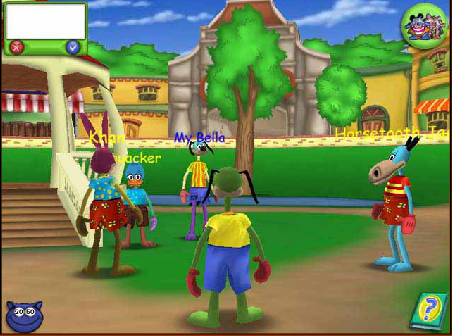 One of the few images of the game's beta, circa 2002. 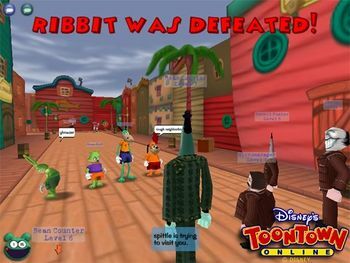 Toontown Online was an MMO by Disney Interactive, online from 2003-2013. Many or all of the game's assets have been ripped from the game before it was closed; However, some assets (including those from the Japanese localization and more notably the game's beta) have since been lost. The game hadn't picked up traction yet in the beta phase, and the game was never too popular in Japan. The game's lead developer, Jesse Schell, isn't allowed to give out any of these assets, and when asked said that he didn't have any of them anymore since it had been years since they were created. Considering the niche fan community surrounding the game, these assets could have historical significance or be used in one of many fan recreations of the game. 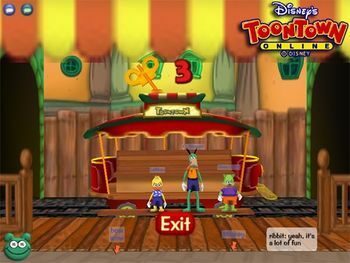 Some notable assets included in the beta were old layouts of Toontown Central, animal masks, clothing textures, colored gloves, and possibly even more obscure assets. The Japanese version of the game includes translated textures, possible textures and even full voice acting for the game's tutorial. 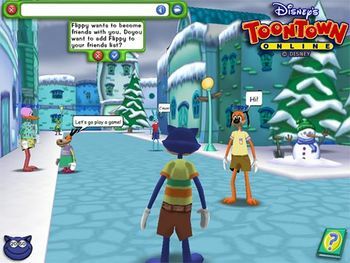 Many fan recreations of the game, such as the most popular of them all, Toontown Rewritten, have assets from the complete version of the Disney game. However, assets from the alpha and beta tests have not surfaced as of yet. 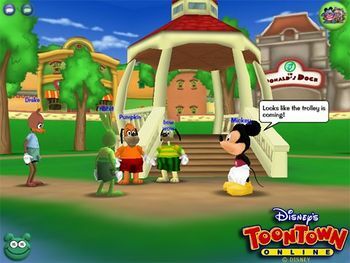 Picture of Toontown Central in Beta. Toons standing on the trolley. The chatbox and friend request GUI from beta.